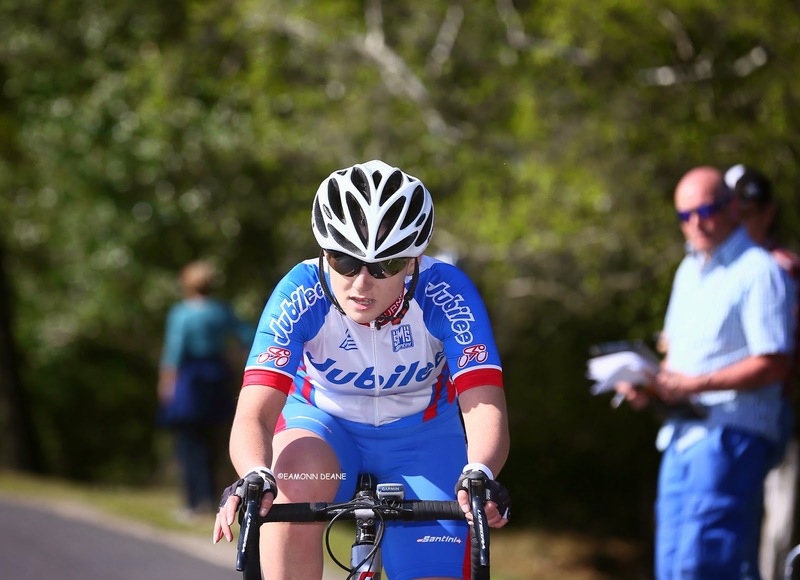 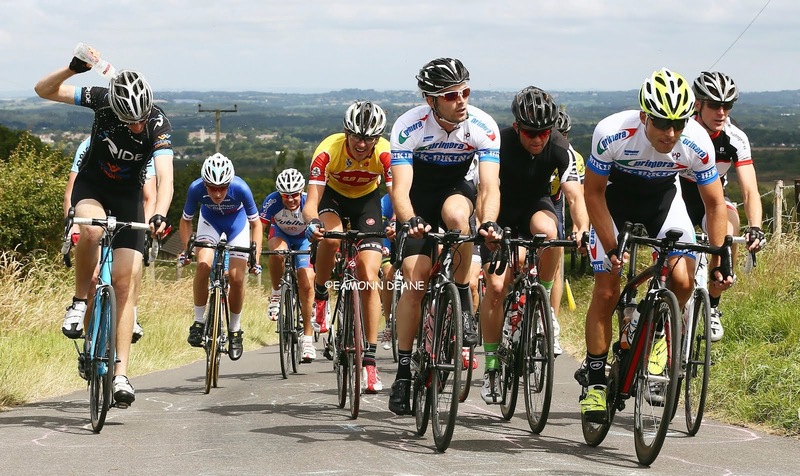 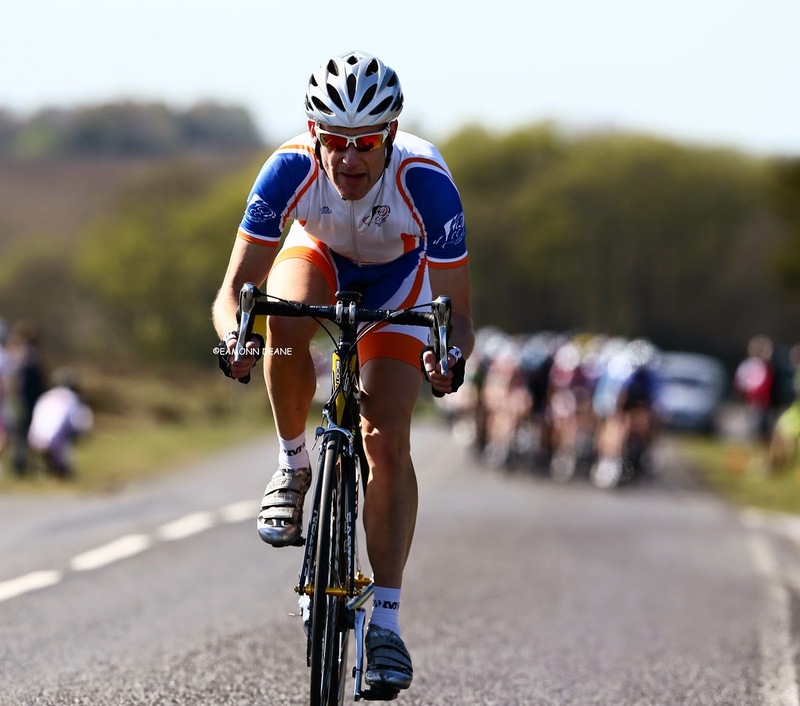 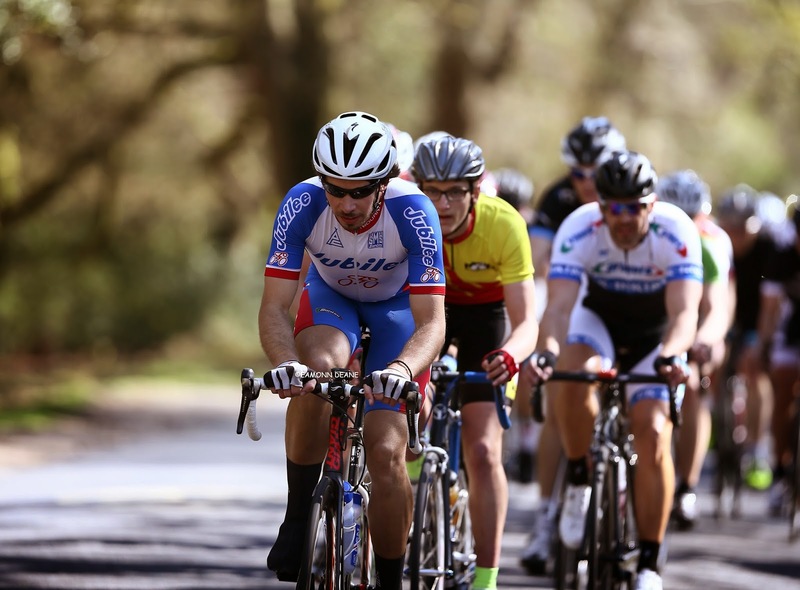 Local Riders,Local Races: Syme again at Sandie Radford! 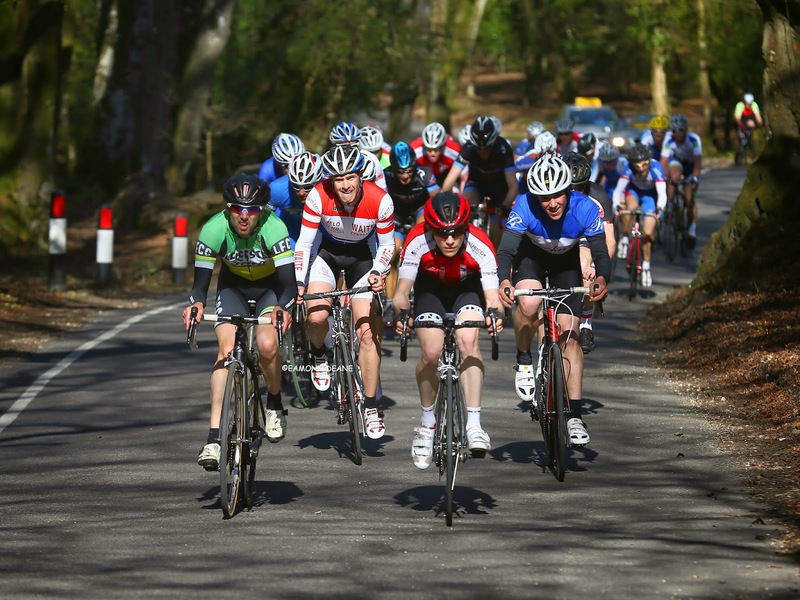 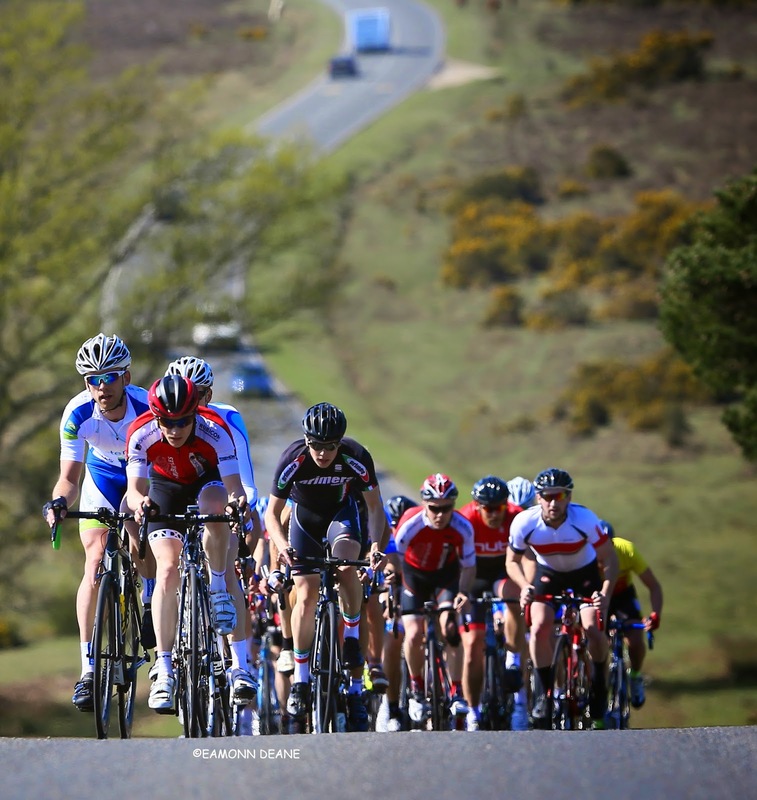 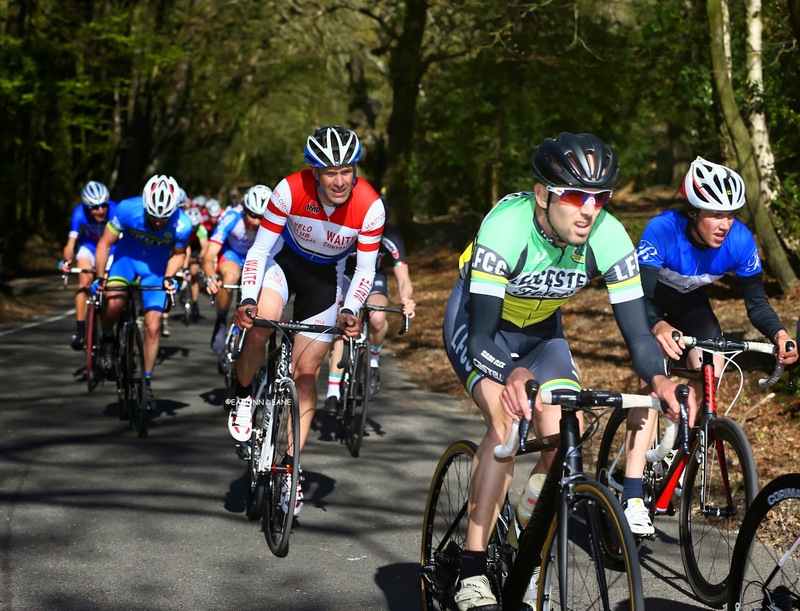 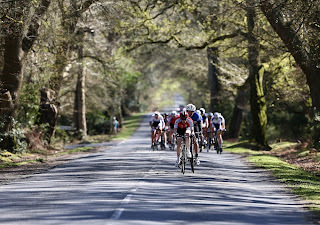 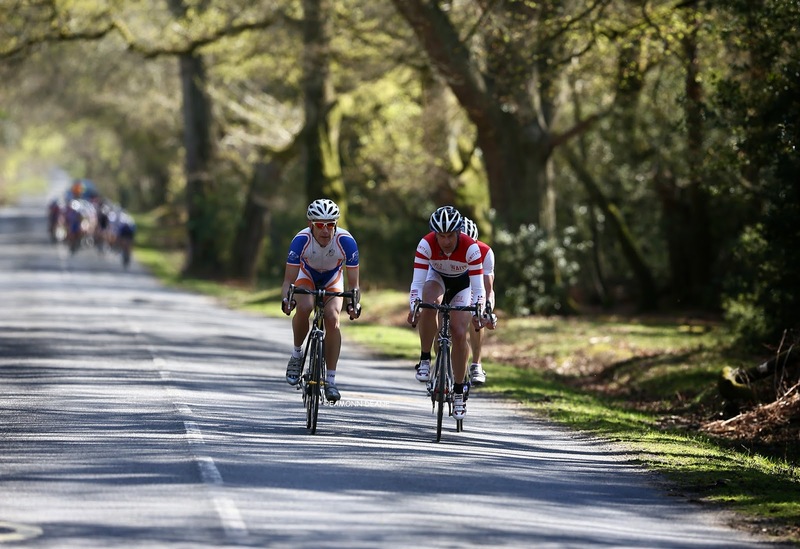 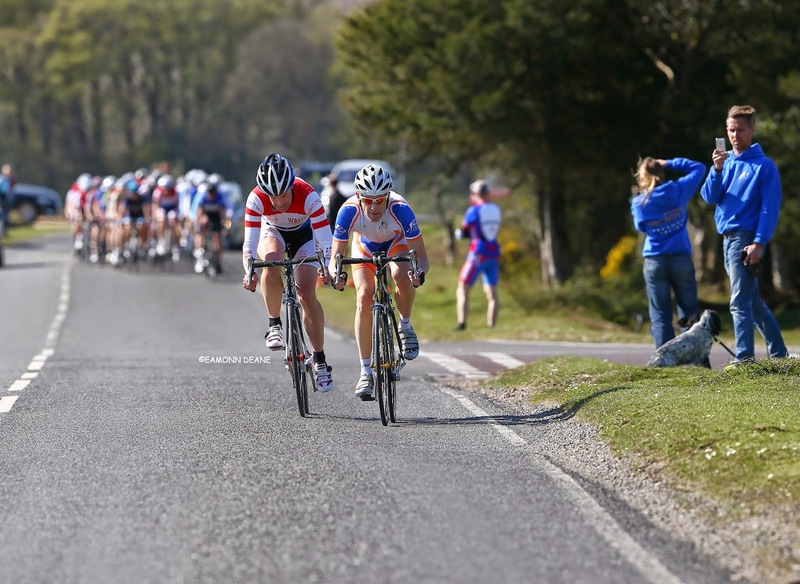 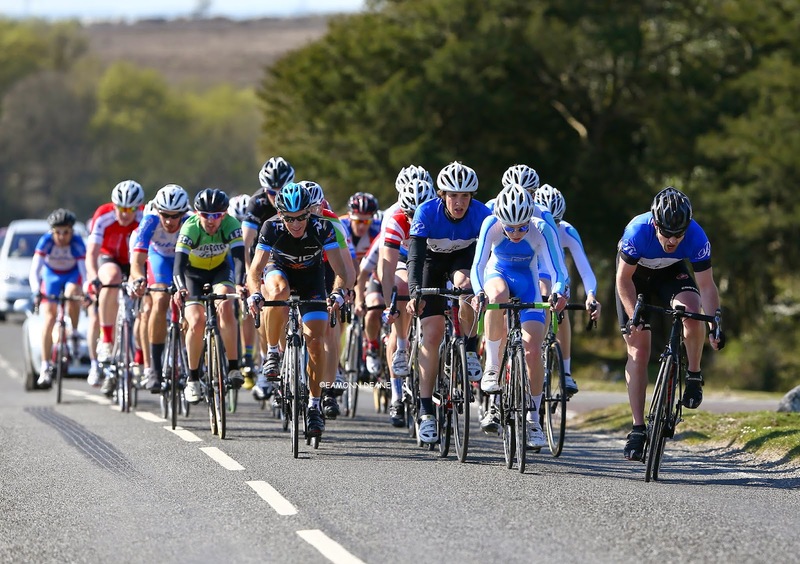 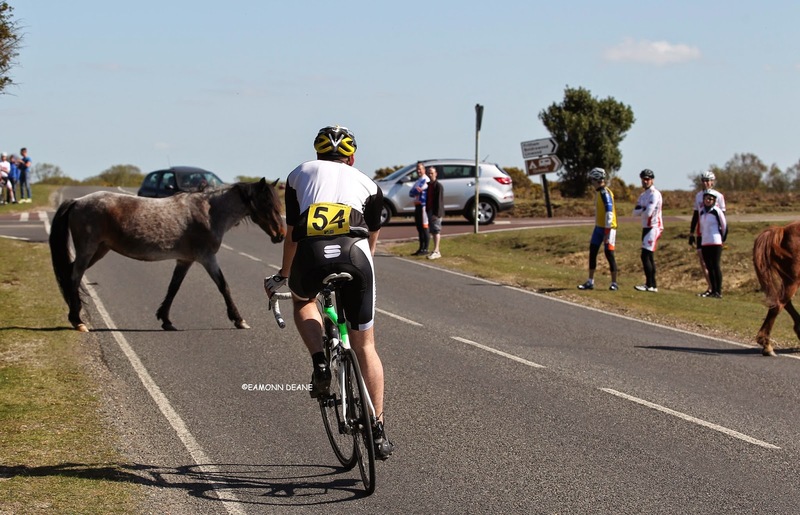 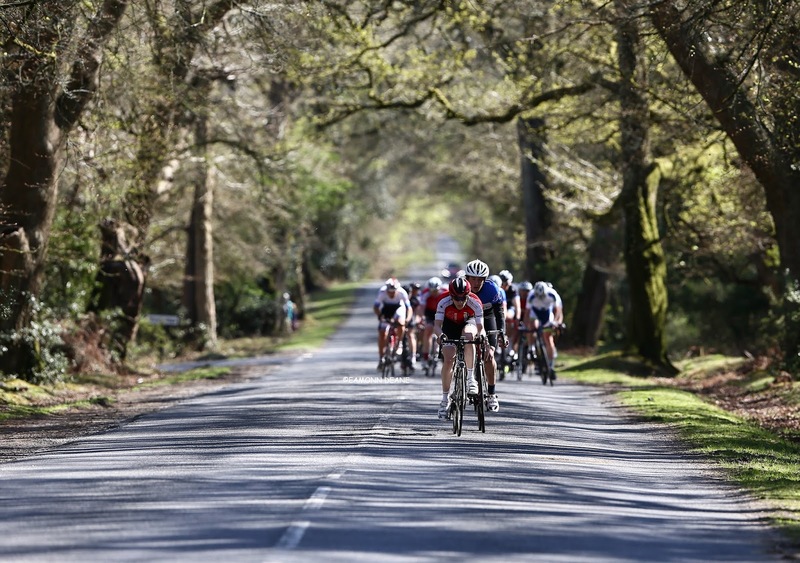 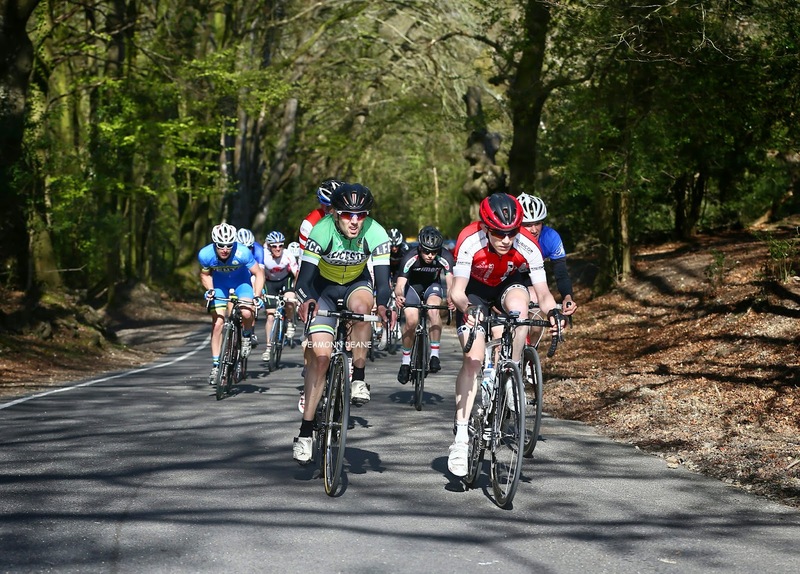 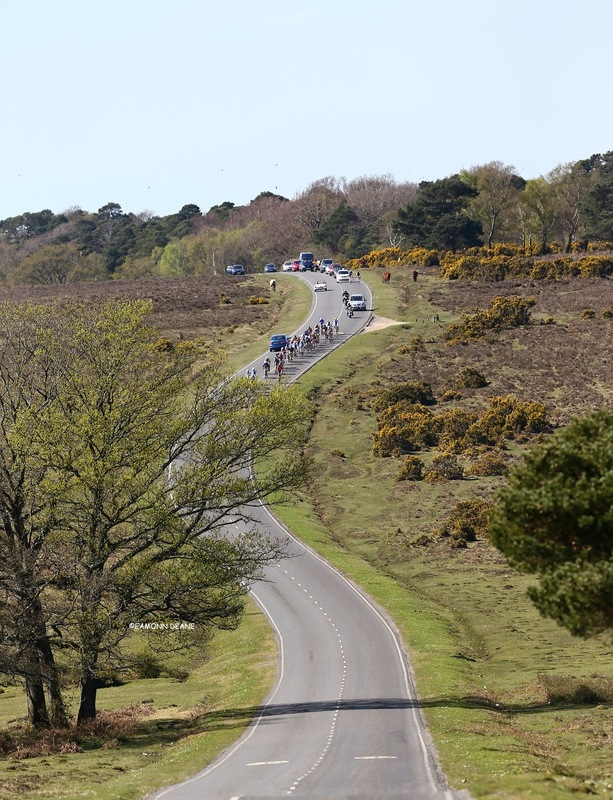 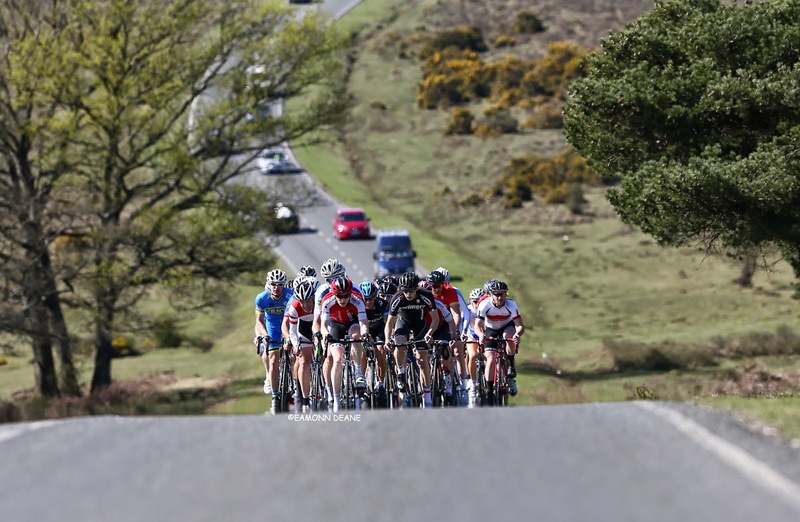 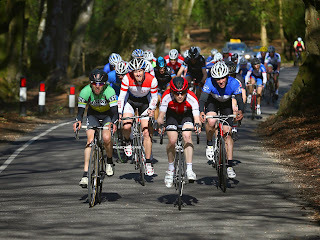 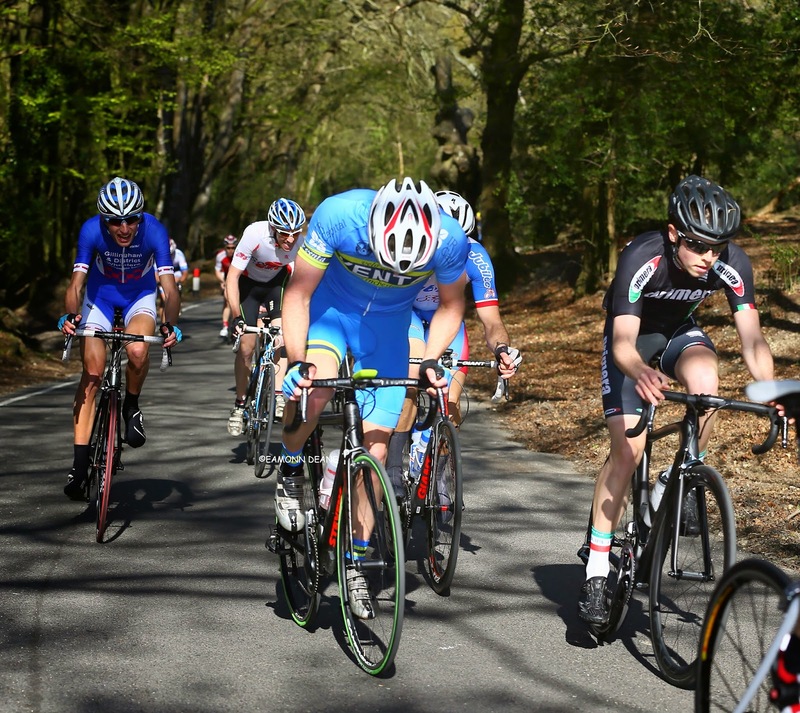 Andrew Syme (Primera-Sport.com) won the 35 mile Sandie Radford Memorial on a sunny, windy afternoon at Nomansland in the New Forest. The twenty one year old displayed a confident maturity to win the race for the second year running. Never putting his nose into the wind, never responding to the constant attacks, never panicking when gaps opened, Syme only hit the front on the steepest part of the twice-climbed Pipers Waite Hill, twenty yards from the line. 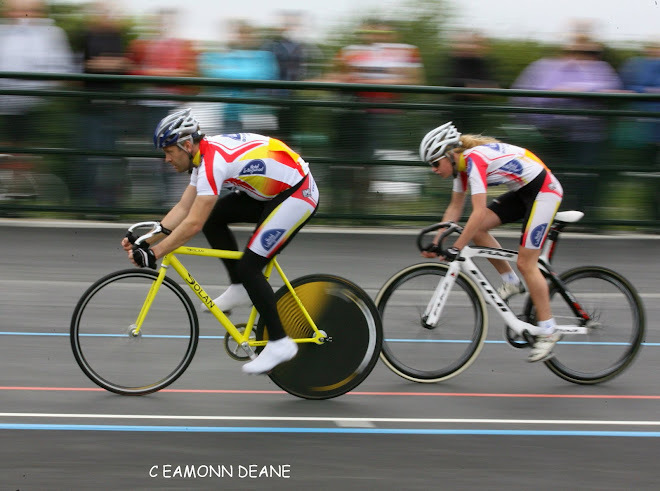 A sore knee had kept him off the bike during the week but there was no sign of the injury as he pulled out ten lengths in the finale. 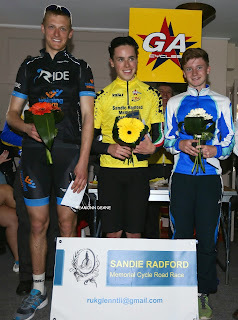 Sixteen year old Charlie Cooper (Eden Veranda) riding his first ever road race grabbed second place ahead of Pete Warner (RideBike.co.uk). 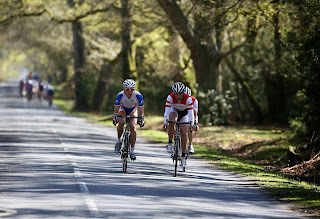 The young Southampton-based triathlete is equally talented in the water and on the run, a bright future beckons. 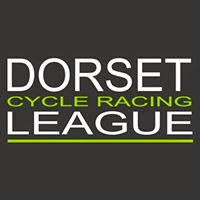 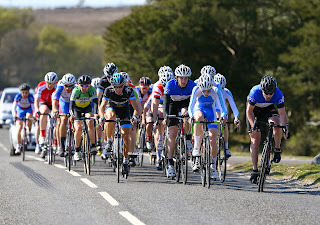 Predictably it was Rowan Horner (VC ST Raphael/Waites Contracts) who pulled out an early lead, the experienced tester gaining a small gap with Dave Dalton (Fareham Wheelers), the pair were left to waste energy in the strong wind before the race hit the climb for the first time. 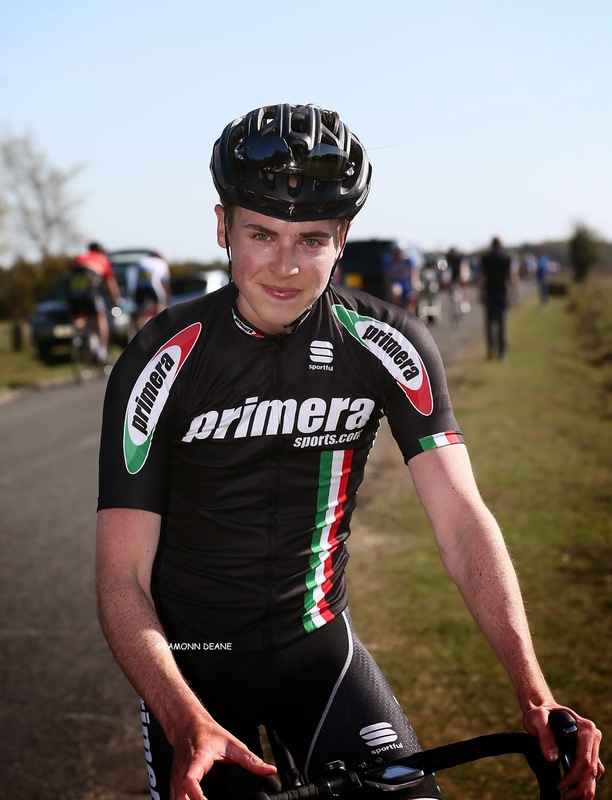 The hill did its job,the race split, the two became ten and Syme prepared to reprise his winning move of twelve months ago. 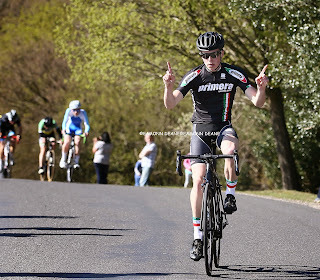 13 Phil Wilks Sotonia C.C. 14 Nick O`Hara New Forest C.C. 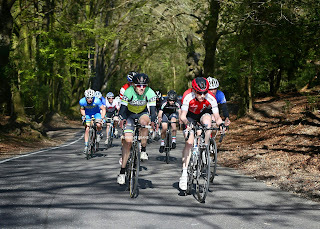 17 Stewart Ward New Forest C.C. 21 Richard Stephens Sotonia C.C. 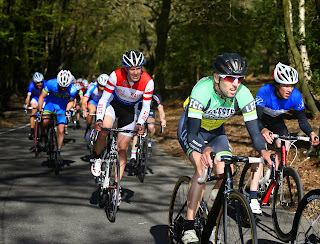 33 Stuart Peckham New Forest C.C. 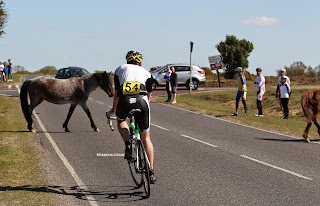 39 Bob Tyrrell Dursley R.C. 41 Richard Burch Sotonia C.C. 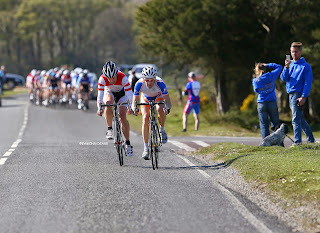 49 Tim Cooke Sotonia C.C. 52 John Sanchez-Bisson Crabwood C.C.